Lots of ukulele groups around the world have their own websites full of music. Here are a few. Please contact for ones that you think would be good to add to this list. The Marlow Ukulele Group is west of London. They also have some well formatted songbooks, available here. Worcester have three song books. The Worthing Ukulele Jam (near Brighton, south coast of England) has an extensive online library of songs. 19! Songbooks!! And they are well formatted too. Click here for the index to those songs. Dr Uke writes a lot of old jazz arrangements – he has a lot of baritone charts too. Houkulele – Houston TX Ukulele Club – includes Hawaiian and Tahitian songbooks. Milwaukee Ukulele Club Song Library – shhhh….this is a secret link I found accidentally…. Portland Ukulele Choir – some good stuff here! Seattle Ukulele Players Association another secret link I found …. Tontonremy is a great site! Old jazzie numbers with nice chord progressions. You might need to intuit a little French though. Un petit peu. Richard G’s Ukulele site – lots of well written out songs (unusual choices too – thanks Suzie of Cessnock for this one). Richard Gibson is from South Australia, and known as Scorpex. Shane McAlister in Paraparaumu in New Zealand rides a motorbike, teaches children, and has The Ukulele Institute. Ukulele Hunt This is the #1 uke site in the world – and very very useful! Chord Zone An incredible resource – weird chord shapes – 7#9s etc. Anything below this text is old and may not work – we still need to go over it. Chordie.com a very useful site which transposes and switches between different tunings with ease! Circle of Fifths – Pick a key, any key. The chords either side of it are very close relations and very useful to making up songs or deciphering songs that already exist. Very useful. 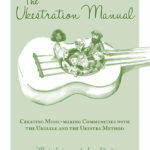 There are so many libraries of uke song books around the world. Here is a list of some of them. Added occasionally. Ukulele Wednesday (London somewhere). It is also should be here if that link doesn’t work. Dale came into LakeMac Ukestra with her Dad’s banjolins & music. This is the music. Lot of good old songs. The link is to the directory where the pdf files are kept. WARNING!!! Files are 5meg+. Fabulous videos – they are oh so goooood!! Those Canadians sure know how to teach music! With a ukulele! ‘Billie Jean’ – James Hill’s incredible version of the Michael Jackson song.